India displays brilliantly a melting pot of different religions, cultures and traditions that date back to ages ago. Not only is it home to innumerable ancient and new temples but it is also one of the top choices for a spiritual awakening journey. Among a plethora of pilgrimages there is one such pilgrimage which is considered to be of immense importance not only among the Hindus but also among the devout Shaivites. Devbhoomi Uttarakhand is known for being one of the hot spots of religion and spirituality. The Panch Kedar Yatra refers to the pilgrimage journey to the five holy temples dedicated to Lord Shiva. Known for being one of the most difficult treks of India, this pilgrimage should definitely be undertaken if you are on a lookout for a Yatra with a hint of thrill and adventure. 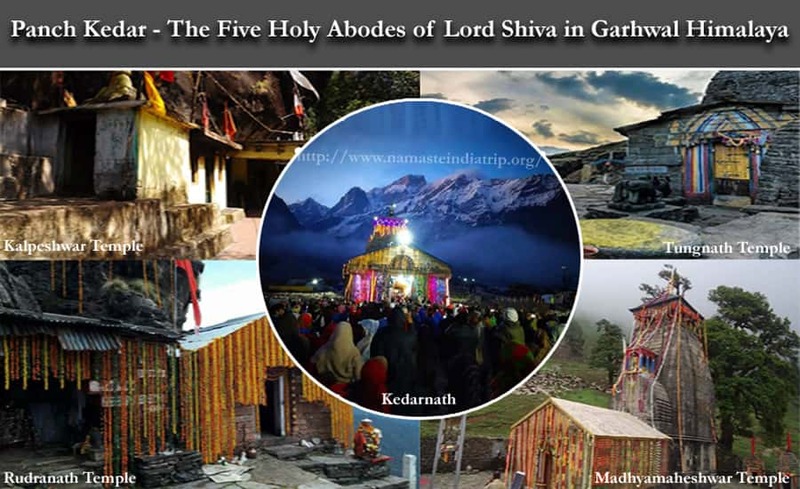 All the five Kedar shrines are placed amongst the lush green valleys that are formed between the holiest rivers of India, Bhagirathi and Alaknanda. The entire pilgrimage circuit will cover the five holy temples adding up to an overall route of 170 kms (including road journey and trekking distances). 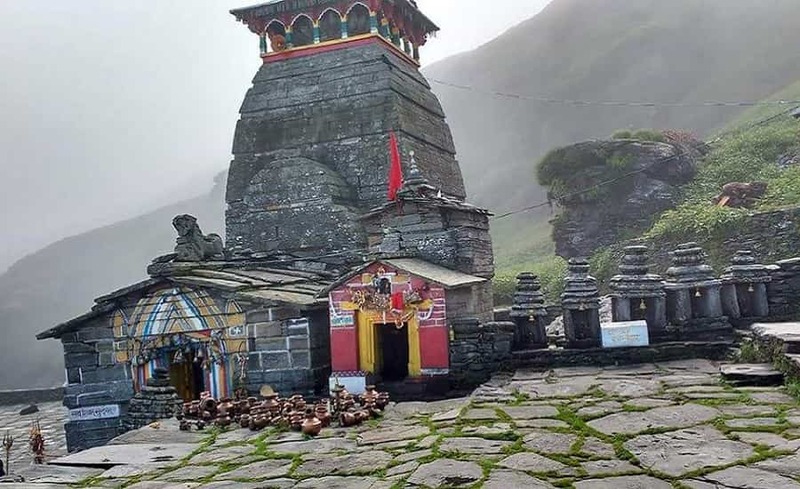 Located in the Garhwal region of Uttarakhand, this yatra journey commences from Kedarnath then goes on to Tungnath, Rudranath, Madhyamaheshwar and finally concludes at Kalpeshwar. The history of the establishment of these Panch Kedar sites dates back to the time of Mahabharata when after the great war with the advice of the great sage Vyas the Pandava brothers went to these Panch Kedar sites, establishing shrines dedicated to Lord Shiva. While on their quest for the lord, he transformed himself in the form of a bull and in order to get away from the Pandava brothers he started to hide himself by burying himself under the ground however the strongest Pandava, Bhima, caught on to his tail and seeing this dedication the Lord decided to forgive the brothers from their crime of killing their kin i.e. the Kaurav brothers. They then went on to establish temples on every place which houses some part of the lord or the other. The beauty of each temple site is distinct and unique from each other with the backdrop of the untouched and serene mountains. Situated in the district of Rudraprayag Kedarnath Dham is known for being one of the holiest shrines dedicated to Lord Shiva and is not only an important part of the Panch Kedar Yatra but it is also an important part of the holy Char Dham Yatra of Uttarakhand along with Badrinath, Gangotri and Yamunotri. Sitting next to the holy river of Mandakini the history of this temple dates back to centuries ago. The temple opens up during the auspicious day of Akshaya Tritiya and shuts down for Darshan after 6 months on the holy eve of Bhai Dooj. The presiding deity here is dedicated to Lord Kedar which sits in the form of a triangular stone structure. This temple is known for being the highest among the other 12 Jyotirlingas of India. This temple offers some of the most stunning views of the surroundings and the rolling green valleys. Located at an elevation of 3,680 metres above sea level and among the lush green valleys of Mandakini and Alaknanda rivers, Tungnath is known for being the highest Lord Shiva temple in the world. Believed to be around 5000 years old this temple has a rich mythological and historical history associated with it. Not only is it believed that the Pandava brothers established this temple but it is also a popular belief that Lord Rama had also meditated deeply at the peak of Chandrashila and even Raavan is said to have also performed deep penance to Lord Shiva her making it even more significant among the devout Hindus. The priest at this village is a Brahmin from the nearby Ukhimath village. 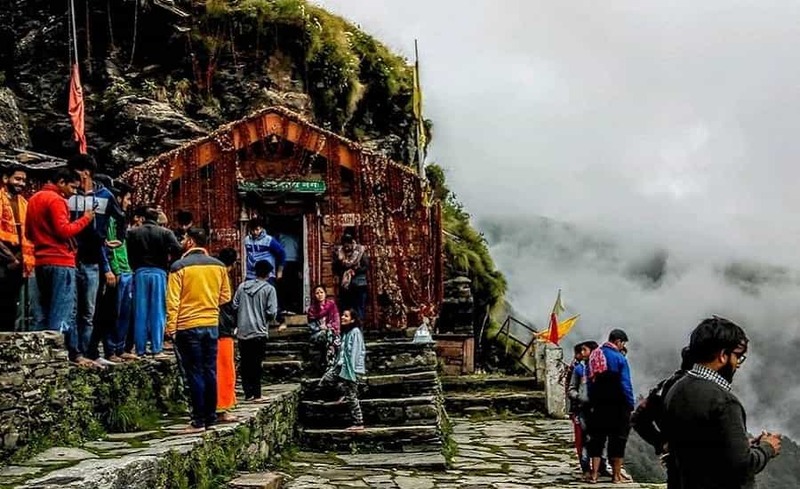 People also go to Tungnath during their trekking journey to the nearby Chopta and Chandrashila peaks that offers some of the most beautiful representations of the pure Himalayan beauty. Sitting humbly at an elevation of 3,600 metres above sea level on the Garhwal Himalayan ranges. Rudranath is unique in its own way a wonder since it is carved out of a naturally occurring rock formation making it an important site for spirituality. 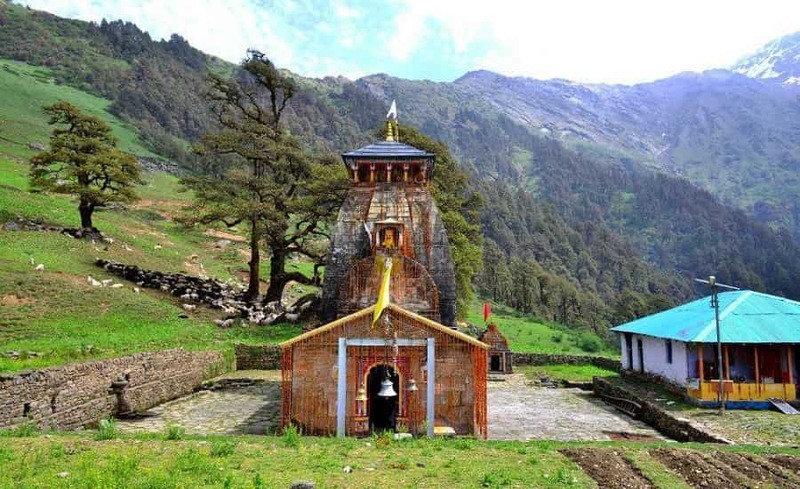 Sitting amongst the dense, thick and thriving forests of Rhododendrons and alpine pasture lands, this temple comes third on the circuit list of the Panch Kedar Yatra. 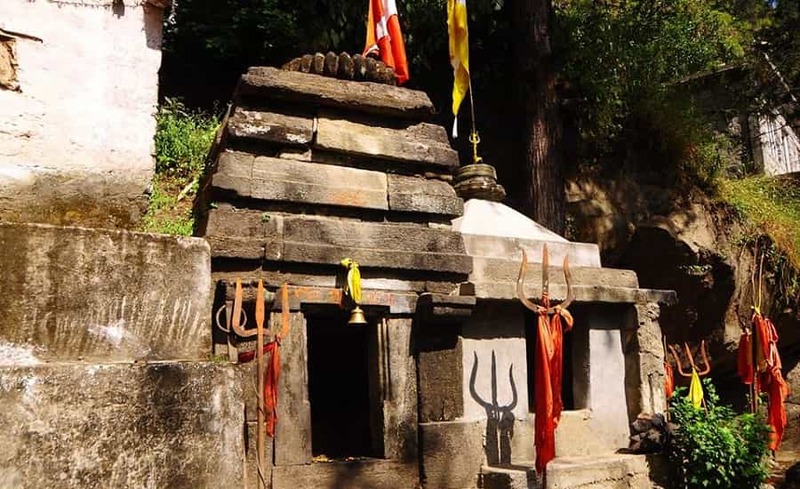 In this temple the face of Lord Shiva is worshipped in the form of ‘Neelkanth Mahadev’ and can be accessed after covering an arduous yet fruitful trekking journey of approximately 23 kms. People can savour some mind blowing views of the surrounding snow-capped Nanda Devi peaks. The temple is surrounded by numerous, significant Kunds or water tanks including Surya Kund, Tara Kund and more which hold immense spiritual relevance. Flowing close to the temple is the holy river of Vaitarani or Rudraganga which also serves as the site for devotees performing the Pind Daan ritual. The holy ancient temple is situated on the base of the holy peak of Chaukhamba and is sitting at an elevation of 3,289 metres above sea level. Lord Shiva is worshipped here in the form of naval lingam. The temple is nestled amongst the scenic natural beauty of the Mansoona village of the Garhwal Himalayan region and is framed by the snow clad mountain peaks of the Nilkanth and Chaukhamba. The temple shrine can be reached after covering a somewhat difficult trekking journey of 19 kms which will be an experience of a lifetime. The worship rituals at this temple starts from the summer months and goes on till October to November since the temple remains inaccessible due to the heavy snow covering in the winter months. As far the architecture of this temple is concerned it resembles somewhat to the Kedarnath Dham. Sitting on an elevation of 2,200 metres above sea level within the lush green covering in the Urgam valley of the Garhwal region of Uttarakhand. Being located at a lower elevation the temple remains accessible throughout the year and people can continue visiting this shrine even whet the other Panch Kedar shrines remains inaccessible. This small stone temple can be approached via a cave passage, that ad a vibe of mystery to this temple and here the matted hair of Lord Shiva is worshipped. It is an important aspect that the temple priests here should be Dasnamis and Gossains who are considered to be the disciples of Adi Shankaracharya, the same sage who went across the length and breadth of the Indian subcontinent establishing matths and pilgrimage while spreading the word of Hinduism and Advaita philosophy. Primarily covered in dense forests, glistening apple orchards, potato plantations and terraced fields the surrounding valley of this holy temple is one of the most scenic destinations among all the other Panch Kedar Yatra sites. Every Panch Kedar site in Uttarakhand is accessible from their nearest road head after which the pilgrim is expected to cover by trekking. Every Panch Kedar Dham site has varying difficulty levels in terms of ruggedness, steepness and snow covering. The entire trekking route offers magnificent views of the surrounding snow peaks of Nanda Devi, Chaukhamba and Trishul. The overall trekking distance that a pilgrim will be covering during the circuit will be 170 kms, which is including the road journeys to the trekking effort of 16 whole days. The trekking journey commences from Gaurikund and this journey is taken up during the two seasons which are – three months of summer and two months post the monsoon months since during the remaining months, four of these shrines remain clad with a thick covering of snow, except Kalpeshwar, making it inaccessible for the pilgrims. The entry to the Garhwal Himalayan region starts from the holy town of Rishikesh which can be reached from Delhi or anywhere else via a bus or a train journey. From Rishikesh following the Rudraprayag – Kedarnath road the pilgrim will be lead to Gaurikund from where the trekking to Kedarnath will kick start. After covering a to and fro journey of 14 kms you will be making your way to Jagasu via Guptkashi. From Jagasu your trekking journey to Madhyamaheshwar will commence which will go through Gaundhar covering a distance of 24 kms and providing fascinating views of the surrounding snowcapped peaks of Chaukhamba and Nilkanth. During your return journey you will be covering a road journey of 45 kms to Chopta. Chopta serves as the base for the trekking to Tungnath temple which sits majestically at a mere trekking distance of 4 kms. After Tungnath you will be driving up to Mandal or the Cherrapunji of Garhwal (since this place experiences heavy rainfall). From Mandal the trekking route to Rudranath temple covers a distance of 20 kms. After covering this holy site you will be driving back to Mandal and head for Helang. After covering Helang you will be trekking up to a distance of 11 kms through the scenic village of Urgam. This final trekking journey is extremely strenuous due to its extremely steep nature. Finally your journey will come to an end and you will be driving back to Helang and then to Rishikesh via Pipalkoti. The Panch Kedar sites are located at a high elevation and are only accessible during the summer months and other selective months post the monsoon months. The best time to go on a holy Panch Kedar Yatra from the months of April or May to June and from September to October or November. The monsoon months are not considered suitable for this Yatra travel because during these months the entire region is susceptible to heavy and unexpected landslides and sudden weather changes owing to torrential rainfall. In order to provide the pilgrims with the opportunity to offer their prayers and offering rituals there are winter Dham sites established here for every Panch Kedar Dham site. 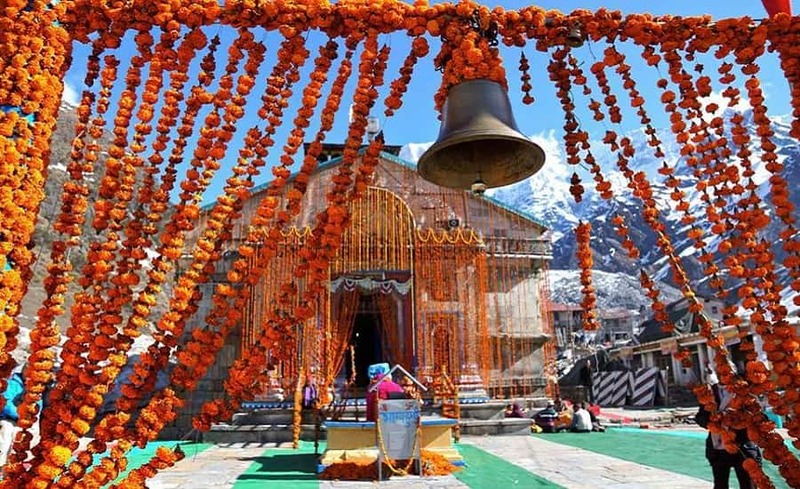 Ukhimath (Kedarnath) – This small yet scenic village is located right before the magnificent village of Chopta and serves as the winter home of the presiding deity of Kedarnath temple. The idol is brought down in a Doli from the temple and placed in the Omkareshwar temple here. People continue to offer their prayer and other rituals to Lord Shiva at this temple during the winter months when the Kedarnath Dham is shut down for Darshan. Mokumath (Tungnath) – The same situation is faced during the winter months of 6 months that the entire region is covered in a thick layer of snow. Tungnath is remains inaccessible and the idol of the presiding deity is shifted to the temple at Mokumath village. The presiding deity here is worshipped for the remaining 6 months here and people visit this place as a part of their winter Panch Kedar Yatra circuit. Rudranath (Gopeshwar) – The temple located at the village of Gopeshwar is the place which serves as the winter Dham site for the presiding deity of Rudranath. The idol is brought down to this place amongst great fun, traditional music and dances. People continue to visit this place when visiting Rudranath is not possible due to the presence of extreme snow in the region. Madhyamaheshwar (Ukhimath) – Ukhimath offers the winter abode not to just the presiding idol at Kedarnath but is also the site where the presiding deity of Madhyamaheshwar is brought down that gives an opportunity to the pilgrims who are looking to offer their prayer to the lord during the off seasons. Apart from its deeply devotional vibrancy this place is also popular for it’s incredibly awe-inspiring scenery.